Chicago is considering naming a street after Oscar Lopez Rivera, the domestic terrorist who founded the FALN terror group responsible for killing six people and perpetrating some 130 bombings and terror attacks on U.S. soil between 1974 and 1983. Twenty-sixth Ward Alderman Robert Maldonado submitted a proposal to name a three-block stretch of North Luis Munoz Marin Drive after the convicted terrorist early in February. The proposal was quickly pushed through ahead of new rules that would prevent people who are still living from having a Chicago street named after them. Alderman Maldonado attempted to claim that the new street name is not meant to honor the FALN terror outfit but is only meant to honor Rivera. Others note that it is farcical to claim you are honoring a man whose only claim to fame is in starting a terror group while pretending you are not also honoring the terror group. 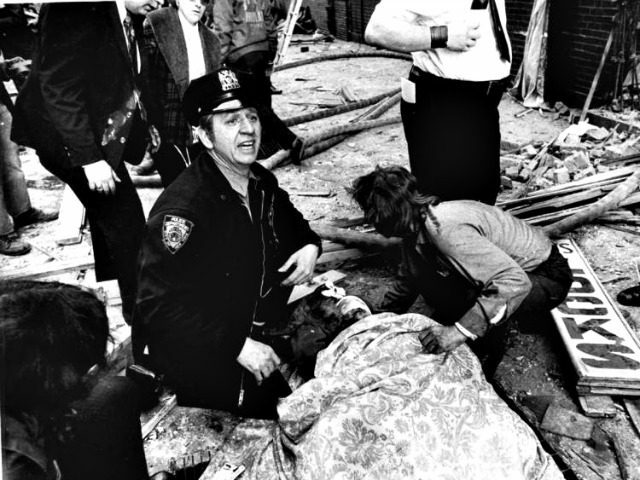 Joe Connor, the son of a man killed by a FALN terror attack in 1975, was furious at the move to honor his father’s murderer, according to the Chicago Sun-Times. The plan to honor the Puerto Rican separatist approved by Chicago’s Transportation Committee advanced this year after Barack Obama commuted Rivera’s sentence. Obama ordered Rivera’s release despite that he has never renounced his past violence. Indeed, Joe Conner noted that Rivera isn’t even supported by most Puerto Ricans. In an op-ed in the Chicago Sun-Times, Connor noted that few Puerto Ricans have ever supported the independence movement Rivera championed. Lopez has never represented the people of Puerto Rico. Never more than 5 percent of Puerto Ricans have ever voted for independence from America and in 2012 fully 60 percent voted for statehood. Further, Lopez and the FALN’s vision of “freedom” never involved freedom at all for Puerto Ricans but subjugation in a Cuban-like Marxist state with Lopez and the FALN no doubt in the role of the Castros, as they wanted a “free and socialist” Puerto Rico. The son of the murdered New Yorker ended his op-ed with a plea to the city. This is the felon whom Chicago plans to honor. I ask Ald. Maldonado, in the name of decency, to withdraw the honorary street designation for terror leader Oscar Lopez Rivera and cancel the vote. Should Maldonado refuse, I ask Mayor Emanuel and the other aldermen to reject and vote against the naming of Oscar Lopez Rivera Way. Twelve members of the FALN serving lengthy jail sentences were offered amnesty in 1999 by President Bill Clinton but only on the condition that they sign a statement expressing sorrow for their past crimes. Rivera was the only one of the dozen convicted terrorists who refused to sign the oath.